The adventure bike market is a confused place. 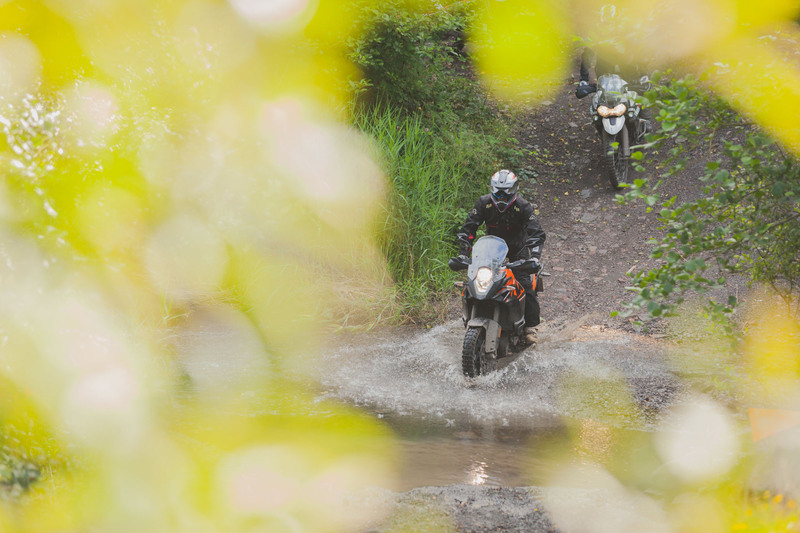 Everything from hard-core dual sport bikes to sport tourers are being classed as adventure bikes and they have every right to. After all, adventure is subjective by definition. While the linguistic nuances of the English language might be a riveting debate to have over a mid-winter fireside whiskey, we’re not here for that. We’re here to separate, inform and inspire. 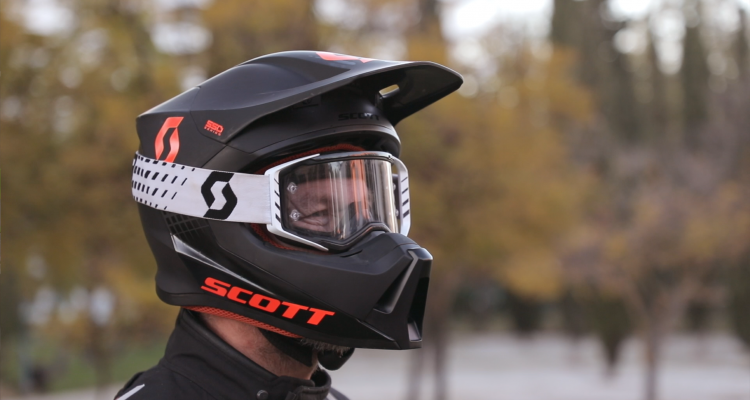 We’re here to ride bikes, tell you what’s good, what’s not good and which one is for you. As I said, the ADV market is confused. It has a spread of bikes that range nearly £12,000 in costs and are designed so differently it’s incredible. So we busted our group testing cherry by taking the middle ones. The bikes that fall into the expensive but not painful category. For the price of a reasonable hatchback car this is what you can buy. Our theory is, that between the engine bracket of 800cc and 1100cc, and less than £12,000 you can buy these bikes. They’re middle-price bracket, kinda middle power and kinda middle engine size*. Like I said, the ADV market is confused. Around our 350km, two days test we took a BMW F 800 GS, a Triumph 800 XCa, a Suzuki V-Strom 1000 XT, a Honda CRF 1000L Africa Twin, a Ducati Multistrada 950 and a KTM 1090 Adventure. 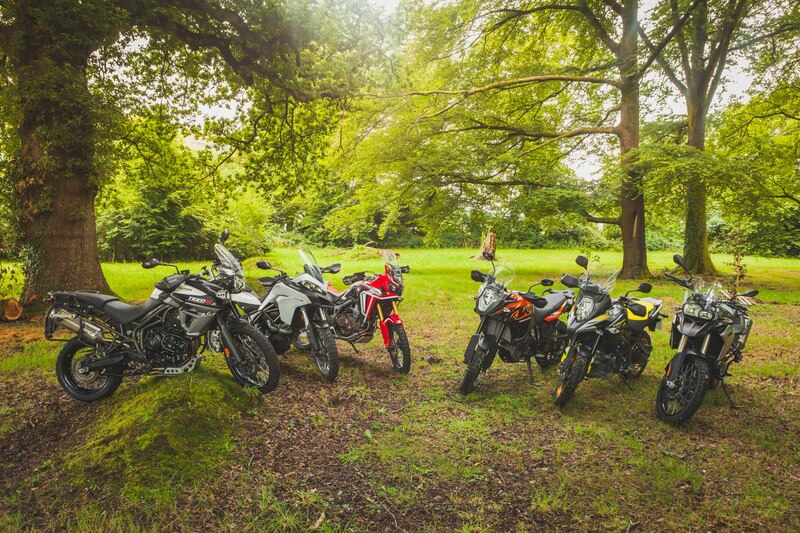 Six Adventure Bikes in the middle of everything. Day one was a total rain fest. It was still huge fun. We rode the wheels off them on every type of paved road and a more than healthy amount of dirt. We ran road tyres on the road and off-road tyres on the dirt because, well, we’re not savages. On top of that we put headline trophies in the test. 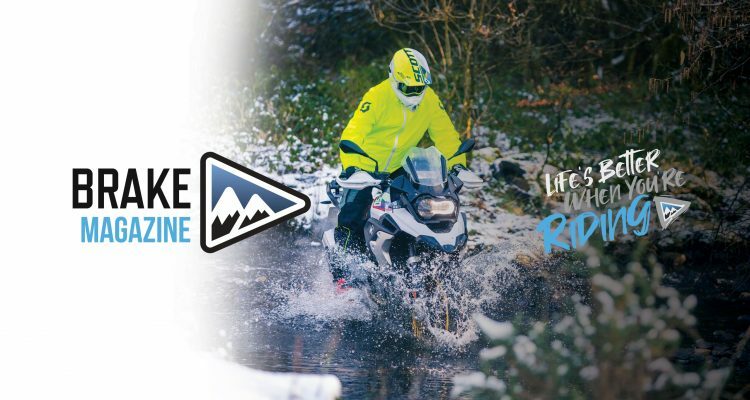 Alongside the crown of overall best adventure model (we are an adventure magazine after all) we’ve also included; Best Street, Best Off-Road, Best Touring and Best Value. That way, hopefully, you’ll find the bike for you. *We get that 1090cc is not middle or small. But it is sub £12k and significantly smaller and cheaper than the 1200cc+ models. 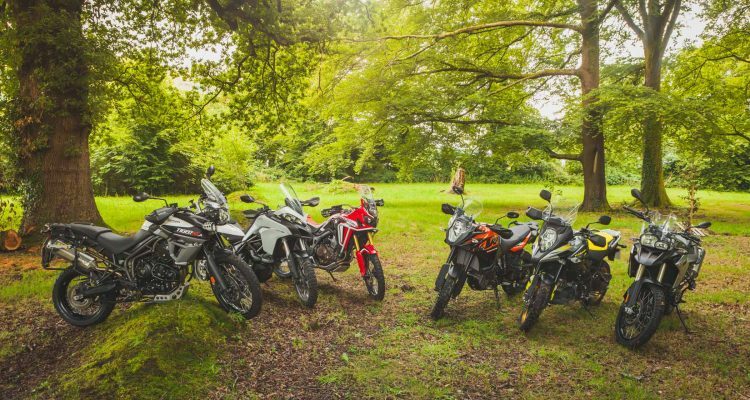 Plus it’s the same price as an Africa Twin or a Tiger 800 XCa, so be kind in the comments section. Best street bike is about choosing the model that works best for your weekend hacks. It’s the bike that you’ll pull from the garage on a Sunday, head for the hills and love until you get home. 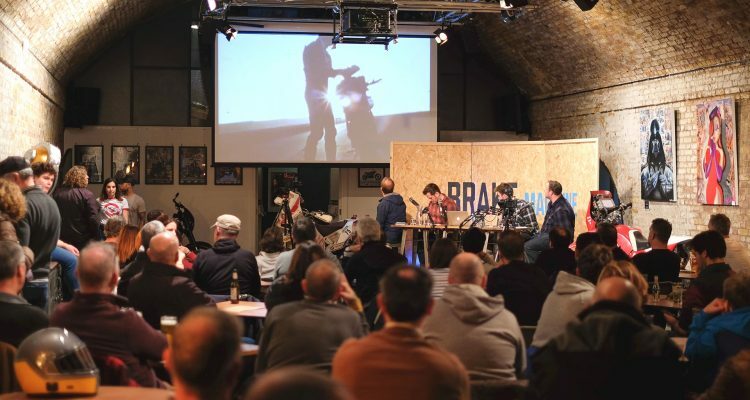 Choosing the winner of the best street bike class was unbelievably easy. 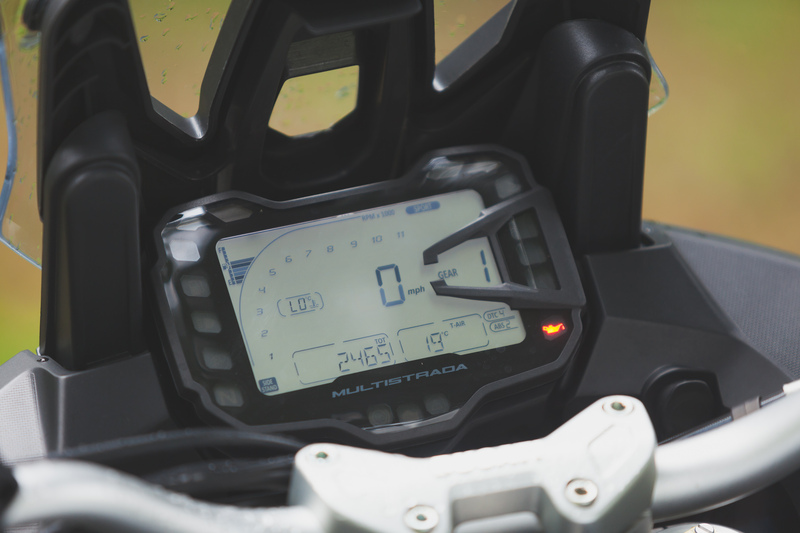 The Multistrada 950 took the title without really trying. It’s the most street bike of all the models on test and it shows. The chassis and handling, the engine and the combined fun and ease make for a truly stunning road bike. It’s a bike that proves you don’t need anything close to power of the big adventure bikes to have an incredible ride. The Ducati is a phenomenal road machine. It’s made for roads like this. The KTM was also clearly second on the tarmac. The 1090’s engine is phenomenal and the whole chassis package works very well. 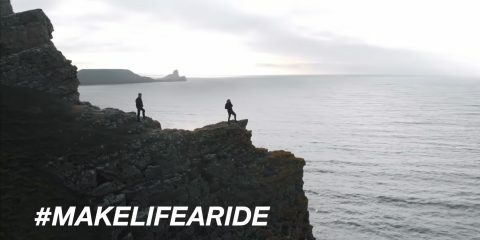 What lets it down is the overall intenseness of the riding experience. 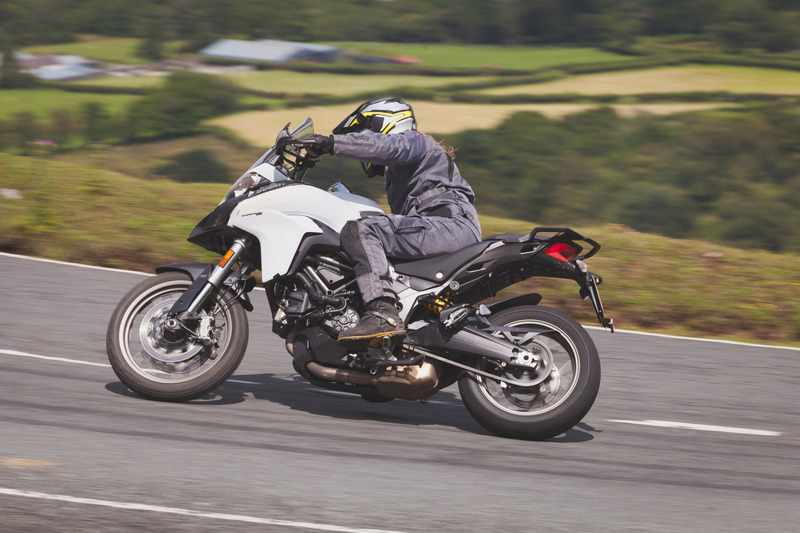 The Ducati can be enjoyable without feeling like it wants you to ring its proverbial neck. The KTM is stiff, sharp and aggressive. It works best when the revs are high and while that’s crazy fun for an afternoon, maybe even a few days, it’s simply not for everyone. 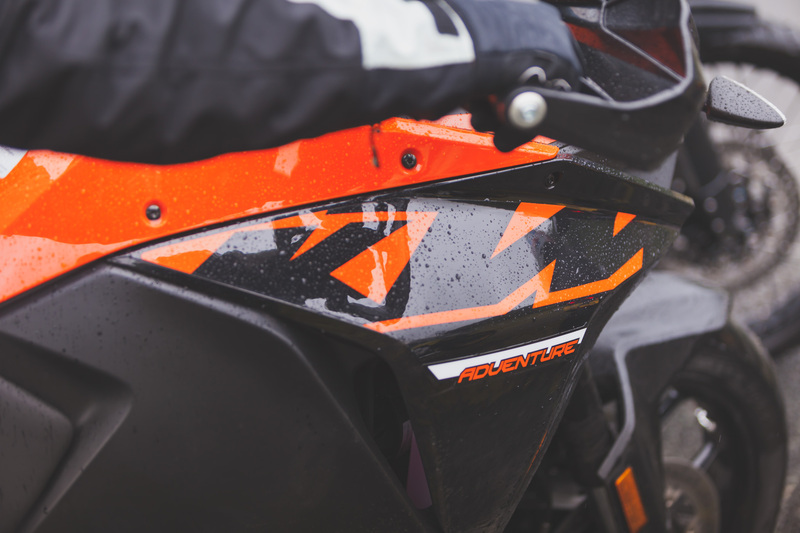 You’ll love the KTM for ever, if that intense riding experience is something you enjoy. Second goes to the KTM 1090. The Honda was the best 21-inch wheeled bike on the black top. The Suzuki and the Honda claim the final step of the podium in a weird split where the next four bikes shone on some rides and faded out of the picture on others. 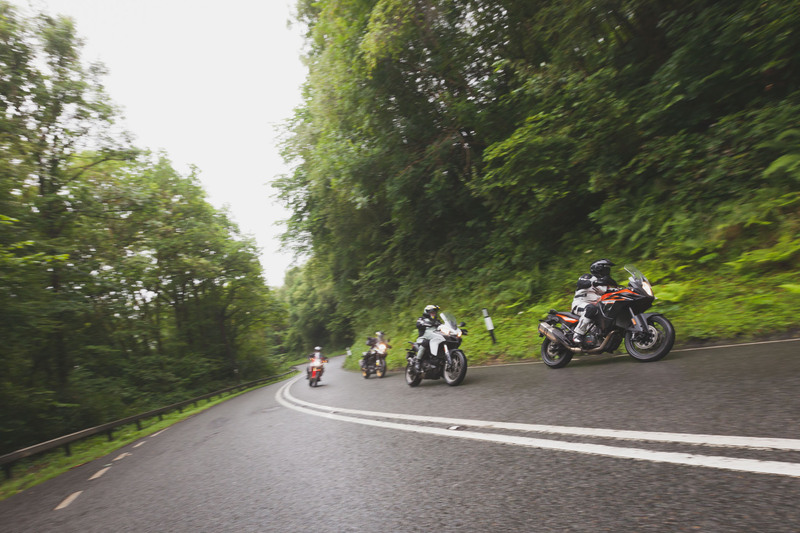 They are all very different bikes and for the variety of roads we ran our test on it made it impossible to place one squarely above the other. 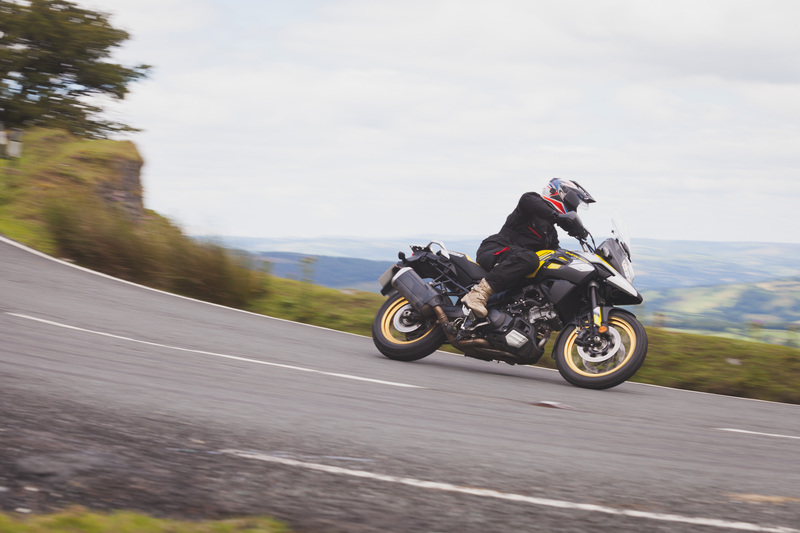 The V-Strom is a solid road bike yet it feels dated for a machine that was released four years ago. The whole package is comfortable and cuddly. The result is a very easy bike that lets you move at a decent speed with little effort or fear. 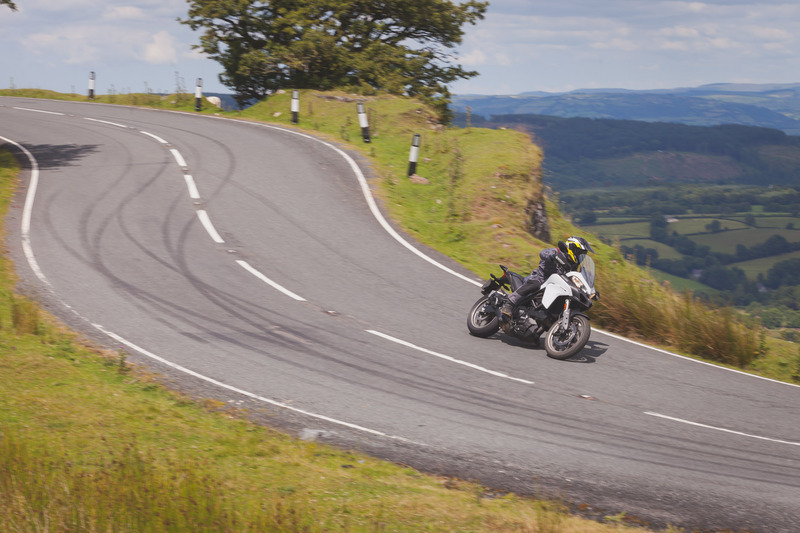 There is a lack of the outright performance found in the Ducati and KTM but it works well on twisty roads or open roads and made everyone happy. On the downside it has a shocking turning circle and the brakes have a poor, wooden feel. 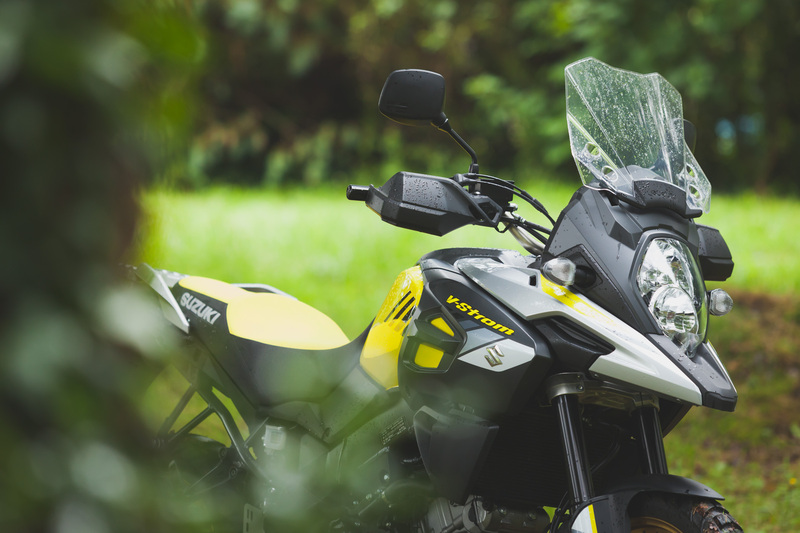 The V-Strom feels dated, but worked very well on road. The Honda engine is packed with character and in general, the tarmac riding performance is extremely positive. The engine is superb, punching hard from the bottom, climbing quickly and pulling strongly for a long time. 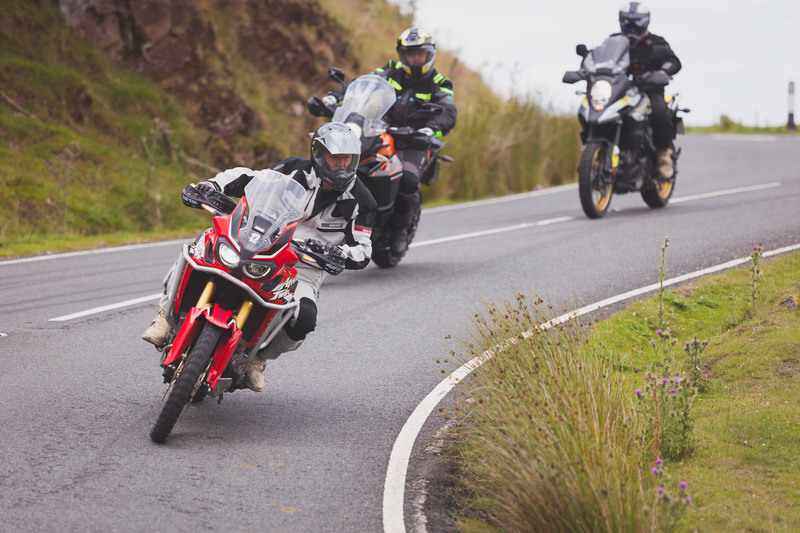 Likewise, the Africa Twin turns smoothly, consistently and is a good handling bike. 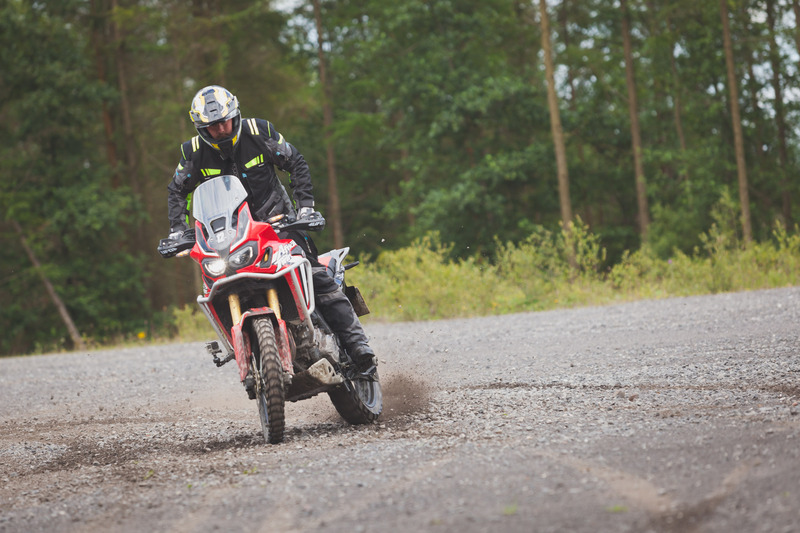 Composed is the most apt adjective for the CRF on the road. 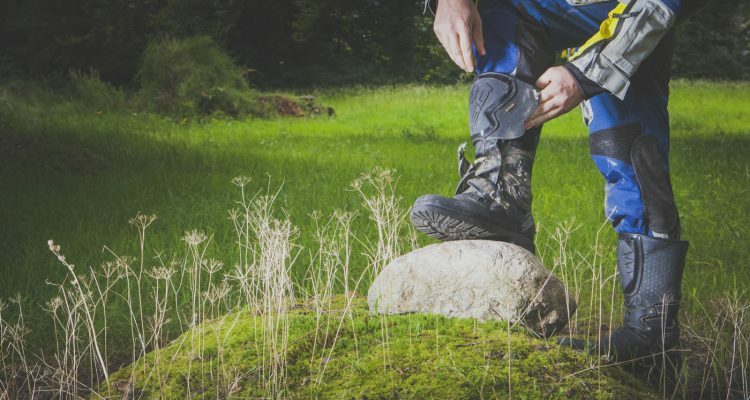 You lose the sense of speed and very little effort is required to cover ground well but the package is let down by a couple of small elements. First is the front brake. You’ll find less wooden tree branches than the Honda front brake. Like the brake, the chassis is dead feeling. Overall there is a lack of feedback from the ground. The Triumph claimed a first place from the least experience road tester in the group, Neil Hawker. Why? Pure ease of use. It’s physically smaller and that, combined with the smooth power delivery makes for a really usable street bike. The engine is incredibly linear and deceptively fast. There is a need to be high in the RPM’s for any really significant forward motion to happen but the whole package is user friendly and calm. The brakes are great, the suspension very settled and the tremendous fuelling makes it an easy bike to ride in town and at slow speed. 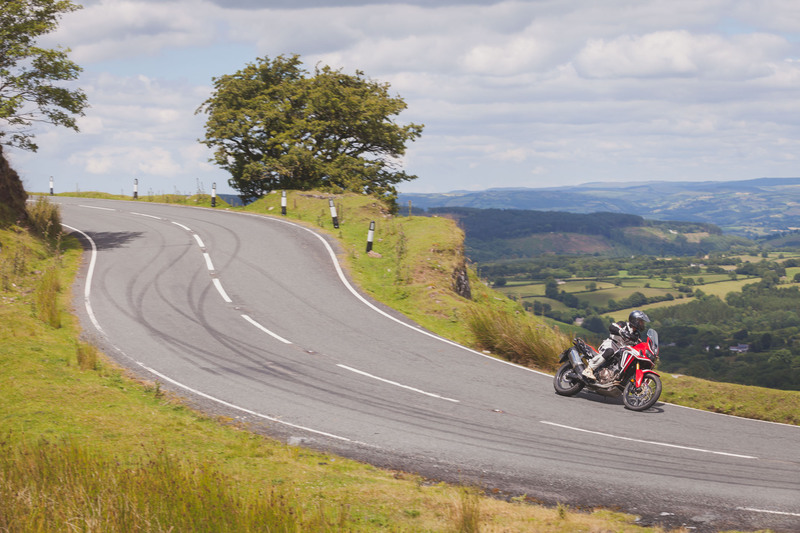 The Triumph and BMW were awesome on roads like this. The final bike in the tie for third place is the F 800 GS. Every tester came in expecting GS to be eaten alive on the street and if you’re taking it for a dog fight on a fast, twisty road or cruising the motorway it’ll be found wanting all day long. What shocked everyone, is just how much more fun it is than it has any right to be. It does lack the engine punch and wind protection but it makes up for it with a chassis that is nimble and playful. 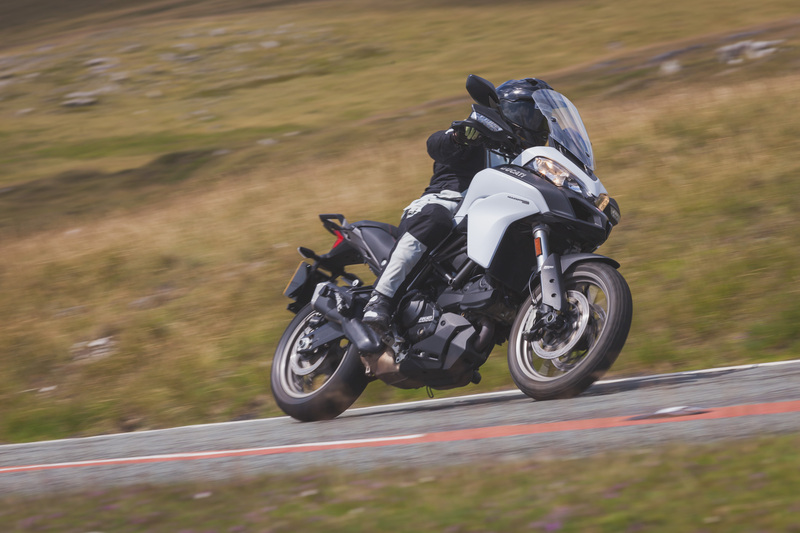 It is the easiest bike to turn around by 172% and on the B roads of Mid-Wales it brought a smile across the face of everyone as the GS skipped off into the distance. A tie for the top of Best Touring Bike pile was a big surprise. That surprise is the V-Strom DL 1000 XT. Not only did it shock with how much of a nice road bike it is, but the calm manners, comfy riding position, decent wind protection and general chilled out attitude served it well. On top of that it cruises in a big gear comfortably, will never stress you out and is compliant enough in the twisties to enable you to have a fun time. In a tie for votes, the Ducati came equal first. Why? Because it’s a phenomenal street bike that’s comfortable enough to ride on the motorway, has an adjustable screen and the utter smile factor to make any other sufferings worth living with. The comfy, relaxed bike of the bunch. The KTM, Honda and Triumph all have their pro’s and cons in this category. They sit firmly behind the front two and a solid leap in front of the BMW. The Honda has a good engine for touring, lots of seat space to move around and would make a pleasant touring bike if it wasn’t for the god-awful wind protection. 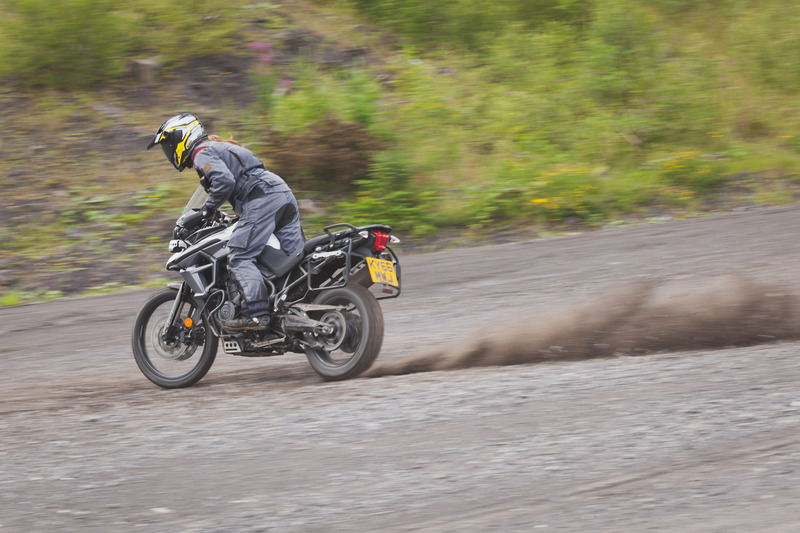 The KTM was generally considered comparatively too intense for plodding around on. The seat is quite hard and the bike as a whole vibrates too much. The Triumph has a lot going for it however. It is comfortable and has an insane amount of bells and whistles. 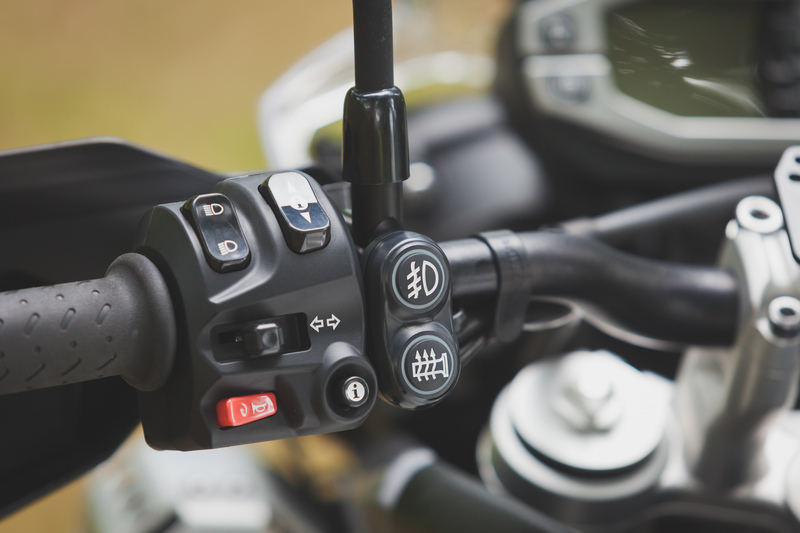 We’re talking cruise control, heated grips and dual heated seats. It’s also super smooth and has decent wind protection. Simply put, the Triumph would make a great touring weapon, especially if you dig the smaller bike scenario. 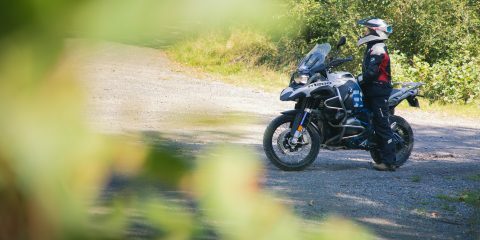 The F 800 GS is without doubt the worst bike for touring in the bunch. It has a tiny screen, less than ideal wind protection and feels like the engine has to work hard to be comfortable at motorway speeds. 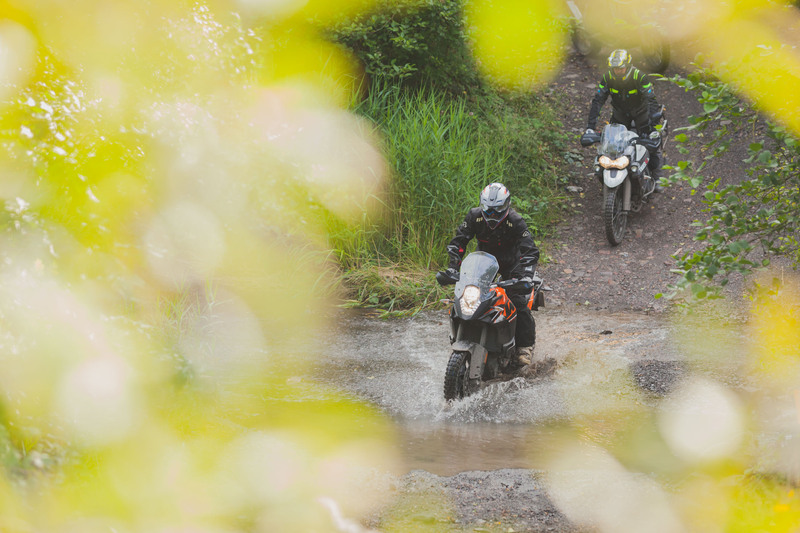 The company that specialise in making off-road bikes then producing the best off-road bike in the test shouldn’t come as a surprise. The KTM 1090 is a beast. What it isn’t, is friendly. 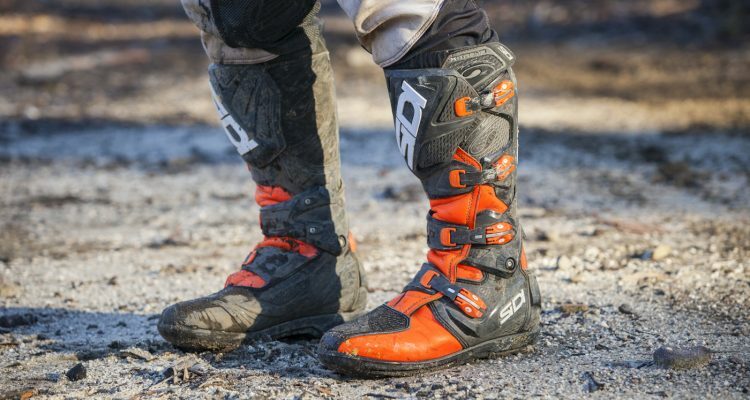 The intense character that the KTM has on the road carries straight over into the dirt. For the testers in our crew that were happy to get on the KTM and dominate it, the 1090 responded like stallion. It rides hard, fast and with fantastic precision. The brakes are stonking, the suspension balanced and the electronic assistance game changing. The electronics eclipse every bike on show. The engine truly roars. The 1090’s power plant is capable of things that left some of us excited and the rest terrified. 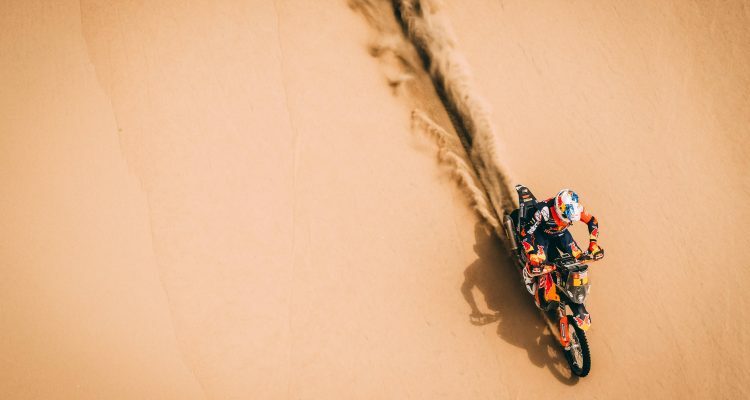 The KTM is absolutely killer on the dirt. 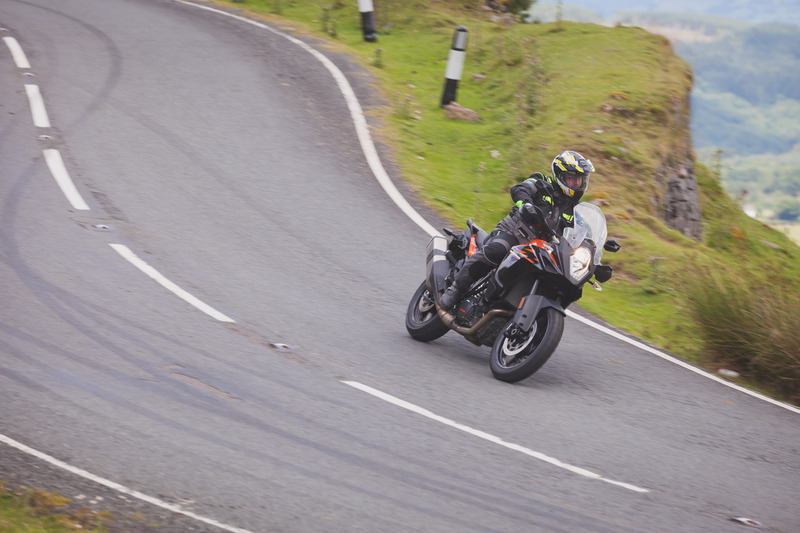 The best analogy is the KTM 1090 feels like a ‘full rally bike’. Everything happens precisely and that results in the upper ceiling of the 1090’s potential being enormous. Plus, it is exceptionally good at power slides. You could change three gears with the rear wheel still spinning, if you’re that way inclined. The downside is, not everyone in the world wants that. For all but a handful of people it’s probably counterproductive. 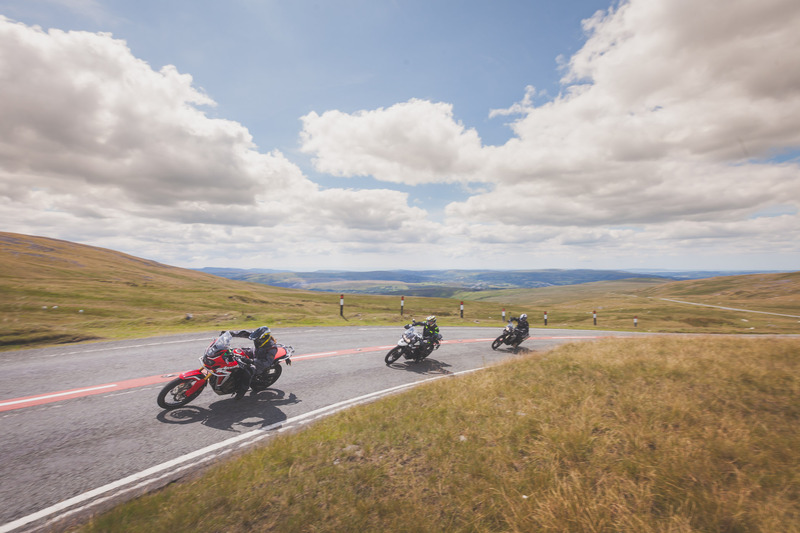 Second place in the class became a photo finish between the BMW, the Honda and the Triumph. 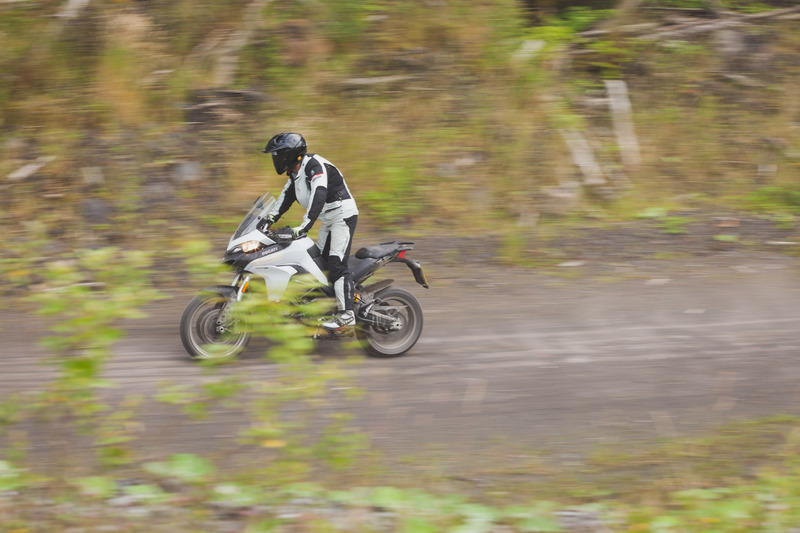 The BMW scored brownie points for being a fun, effective off-road bike. It’s light feeling in this cl4ass and subsequently very flickable. The chassis has a lovely feeling to it as well. There is a confidence about it that wasn’t found in the other bikes. Part of that is the superb riding position. 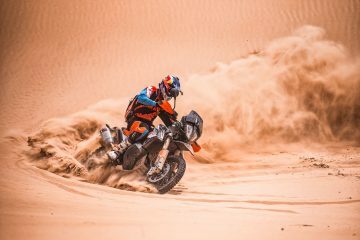 Getting into the right position and having a good connection with the 800 GS is a synch and thus, technical riding, being precise and getting comfortable on the bike is pretty easy. The fuelling and electronic throttle also help hugely with this. The easy stalling of the past has gone and the delivery from low down is wonderful. This makes keeping the RPM low and finding grip in slippery places easy. The Honda is good, but heavy feeling. The BMW feels like a featherweight. The Honda is almost the opposite of the BMW. Firstly, it lost second place because it feels big. Not just big for the class, but more like it is carrying more kilograms than it needs to generally and carrying them poorly. That weight makes it feel cumbersome and ungainly, yet it does handle relatively well. 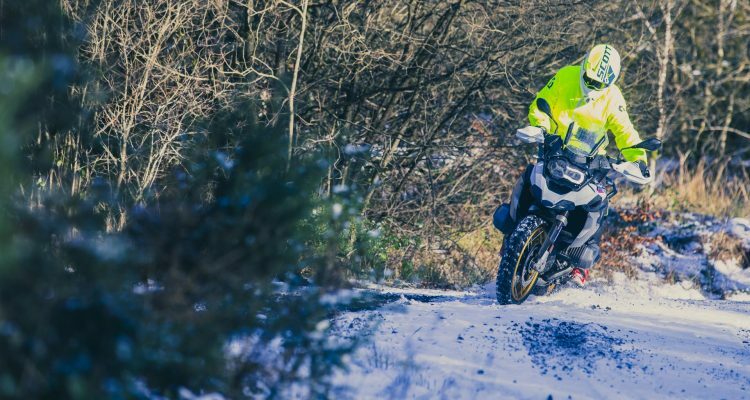 Our test bike felt a little raked out (the front feels much higher than the back) and we’d love to spend time dialling the bike in to see what its true potential is. It’s not class winning but the Africa Twin is effective and fun. 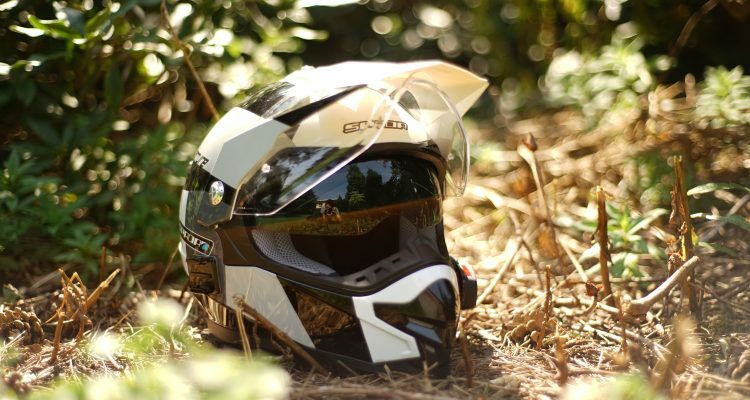 The engine has some serious low down punch and the riding position is natural and relaxed. Unlike the bikes that finished ahead of it, the Honda needs a few touches of polish here and there. The ABS isn’t effective enough on the dirt. If you can’t turn ABS off, make it work well. Honda haven’t done either. On the flip side, the traction control works perfectly well. The Africa Twin also needs a mild diet or some form of weight re-distribution. It’s better than average on dirt, but not great. 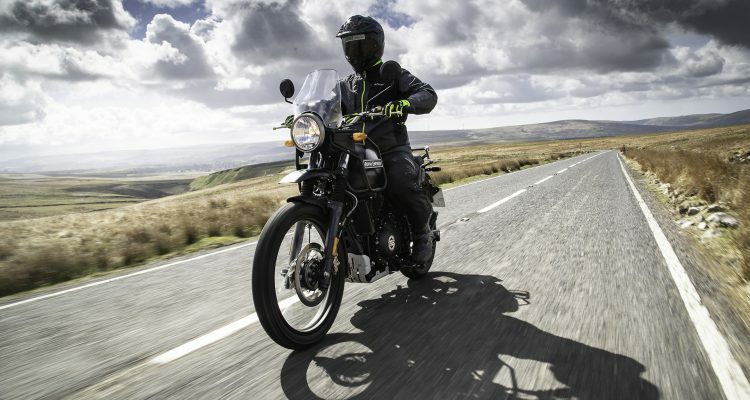 Triumph’s 800XCa looses out by a hair to the two bikes we’ve just written about. That hair is a little bit of riding comfort. Getting a really good riding position and feeling at home on the Tiger felt like it took more work than the other machines in test. The only other downsides are the low ground clearance and cumbersome turning circle. 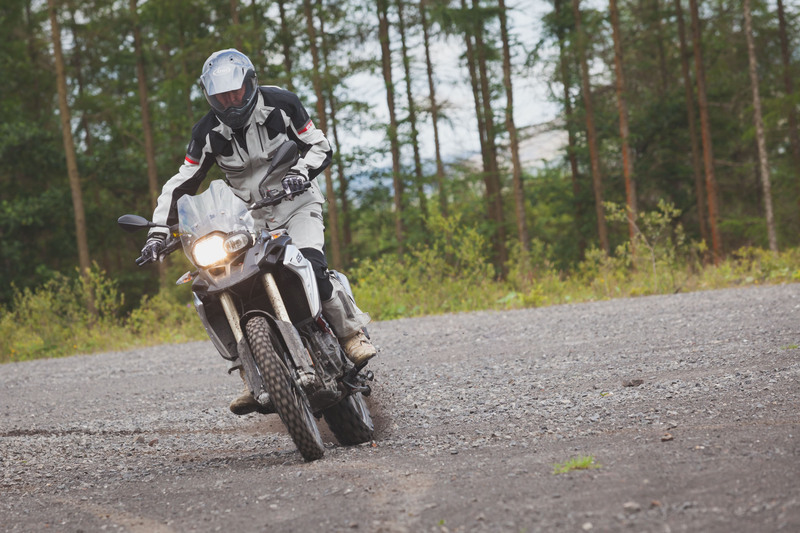 Other than that, the Triumph is an effective, enjoyable off-road bike. The British brand have their bike well set up. 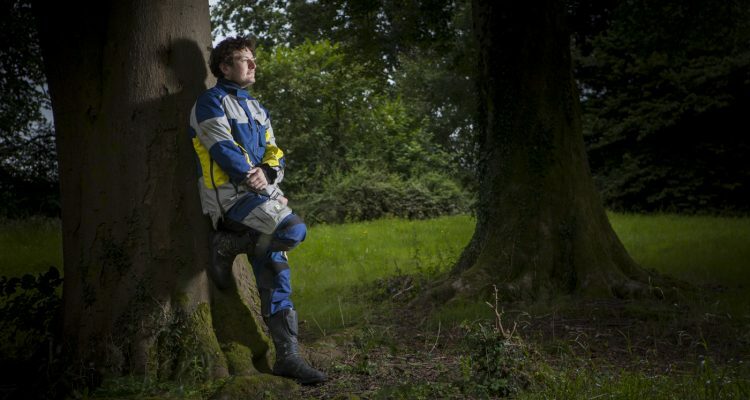 The XC models have WP suspension and it’s easily the nicest setting in the test. The action on compression and rebound was extremely controlled, giving a huge amount of confidence. There wasn’t a worry about catching a rock badly, about riding quickly or hitting bumps you didn’t quite see. Rocky ground and hills were swallowed up by the XCA’s rear shock too. 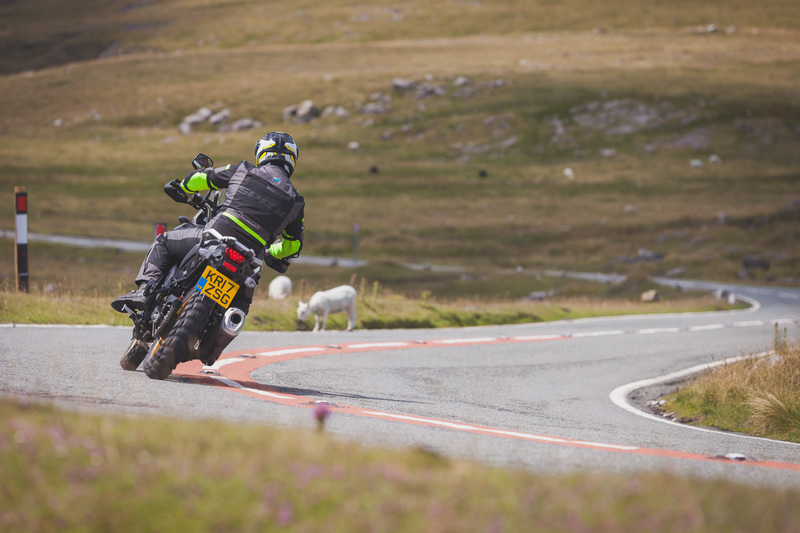 It tracked the ground superbly, allowing you to keep driving where other bikes skipped around. The end result was a comfortable, confidence inspiring machine that required less skill for the same result. It’d be great if more manufacturers took note. Likewise, the fuel injection setting in the Triumph is phenomenal. It’s buttery smooth and was the best at pulling away on a steep hill. It’s nearly impossible to stall, very stable and the clutch is light. 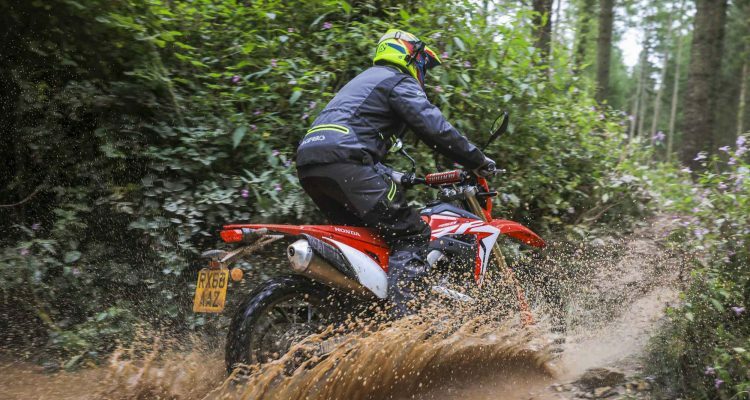 For off-road riding, having a more punchy bottom-to mid-range area would be nice, as would a much better steering lock but otherwise, we’re fans. 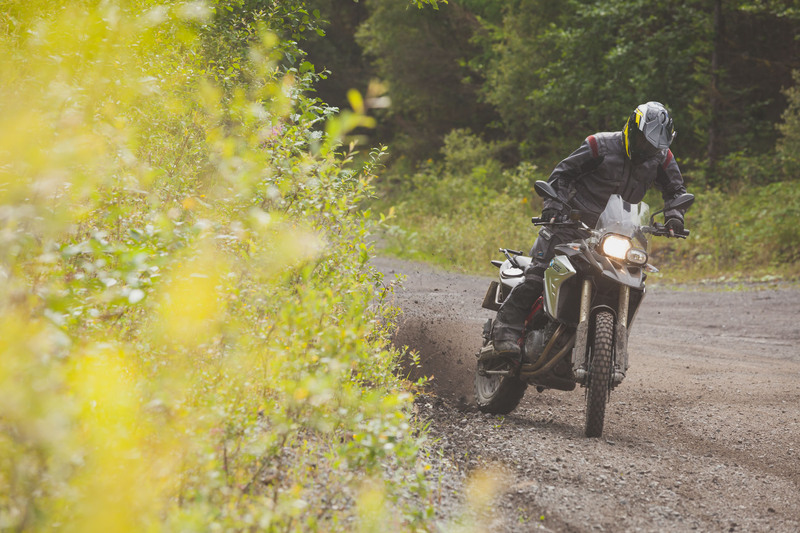 Surprise of the Off-Road test is without doubt, the V-Strom 1000 XT. 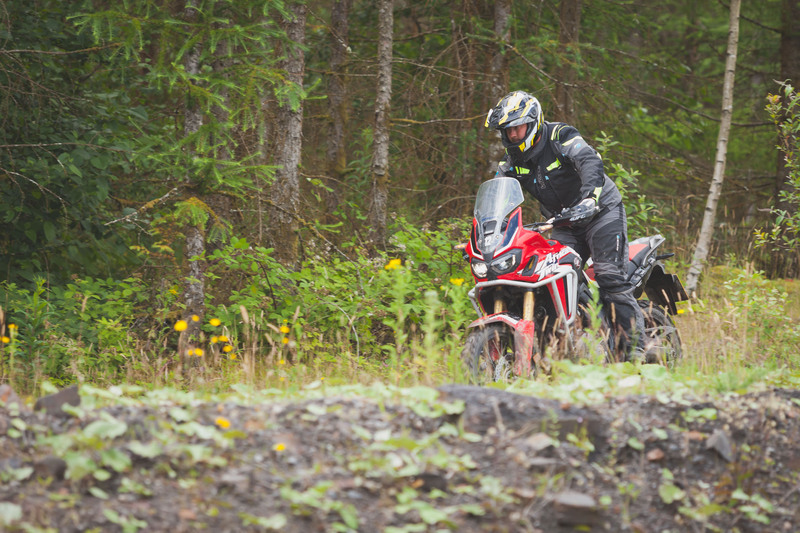 As much as we expected big things from the Africa Twin, we expected the V-Strom to be pretty bad. More fool us. With a set of off-road tyres strapped to the Yellow beauty it transformed into a capable, pleasantly enjoyable machine. It’s not anywhere near as capable as the bikes that finished above it, that gap is still formidable but the potential is buried inside the Suzuki. The ABS quickly proved deadly off-road so we removed the fuse, opening up a world of fun. In last place is the Ducati. When Ducati make a 950 Enduro, everyone best be worried. Until then, the Ducati needs to keep its dirt riding minimal. 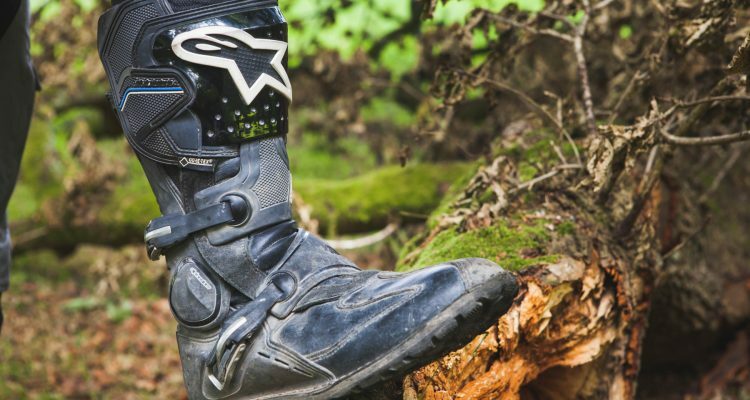 Cumbersome, a poor riding position and slippery, small foot pegs don’t make up for the pleasant engine and off-road mode. Judging value in this class proved extremely tough. To decide, we looked at the spec of each bike we had, how much they cost and the extras still needed. Each tester then compared that with how much they enjoyed the bike and collectively we came to an almost unanimous decision. 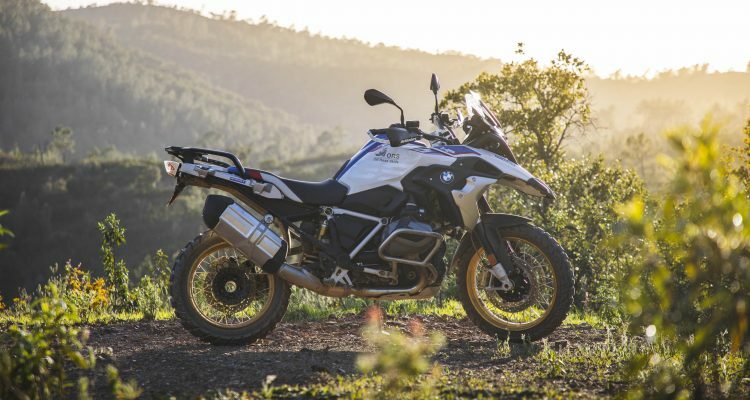 As the second cheapest bike in class, with the nicest fit and finish and superb fun levels, the BMW F 800 GS was deemed the best value. BMW, KTM and Ducati also need commending for their fit and finish. Their switch gear and polish appears to leak in the direction of most expensive models to cheapest. Everyone else appears to move in the other direction and if you’re going to drop the price of a car on your bike, we think you probably want it be beautiful as well as functional. The GS is a very polished product. The base model of the BMW is £9200. We all felt that the GS, with a set of heated grips would be ready to go. It was fun to ride, very good off-road, very good around town, had the best turning circle and the most polished end product. A close second was the Triumph Tiger 800 XCA, mostly because it has more extras included in the price than all the other bikes combined. The fit and finish is a let down, but like the BMW, you can also buy one without the extra gizmos for £9200, yet still have that superb suspension. It sounds like a good deal to us. Switches like this look like an afterthought. The KTM is the next best value bike. 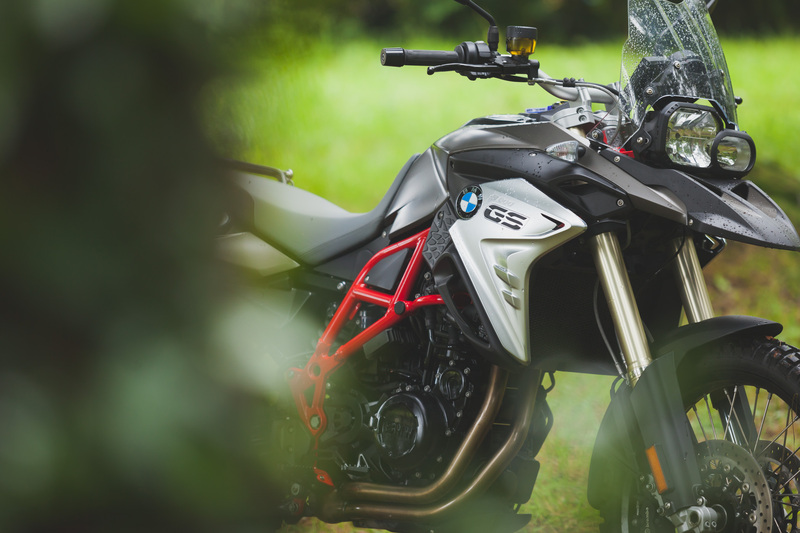 It’s a more expensive out of the box, and we’d definitely opt for the Off-Road electronics package and heated grips, but the amount of bike, the quality of the finish and the electronics get you a bike with R 1200 GS levels of performance. The V-Strom could be best value, if Suzuki stopped using parts from the 1980’s. They don’t necessarily make the bike better but for us it matters. A lot of the Suzuki parts genuinely look like they chose to use the part they had lying in a box in the back of the warehouse. It’s a lot of bike for £10K, there is some nice tech hidden away but it’s not enough bike to win the category. 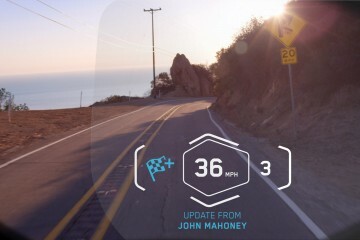 The Ducati dash is lovely. Honda dash is nice, but a little dark. We wish you could turn the ABS off completely. The Ducati is competitively priced and superb on the street. If it could tackle the dirt as well as some of the other bikes we’d probably place it higher. We like that the it’s fitted out similarly to its super big, pricey brother. 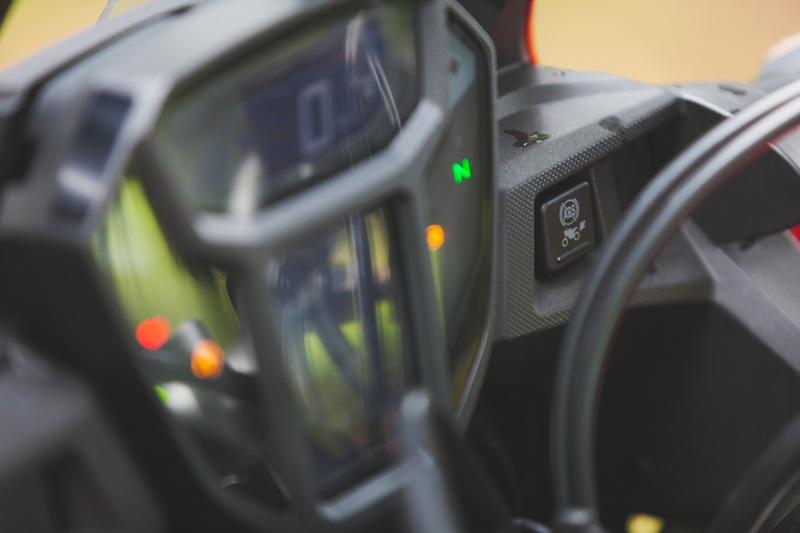 The chassis, switch gear, body and TFT screen are all shared with a way more expensive bike and it keeps the 950 feeling premium. And then we have the Honda. It’s not the Honda is bad value, it’s really not but it’s not as well finished as the same priced bikes. The fit and finish is okay and the performance is great, yet the bike as a whole feels like corners were cut that some of the other brands haven’t. A little more polish could easily see the Honda run away with best value bike, especially as it looks so pretty. Check out the table below to see the prices, specs and so on. As Standard; ABS, Traction Control, Multi-function dashboard, Daytime Running Light, Automatic Turn Indicator Reset, Adjustable ergonomics, Adjustable windshield height, Immobiliser, Aluminium handlebar (ball-burnished and tapered), Luggage rack and case brackets, Handguards. As Standard; Multi Rider Modes, ABS, Traction Control, Heated Grips, Cruise Control, TFT Dash, LED Lights. As Standard; ABS, Traction Control, WP Suspension. This proved to be a extraordinarily difficult decision. Each tester gave positions to each bike in each category. 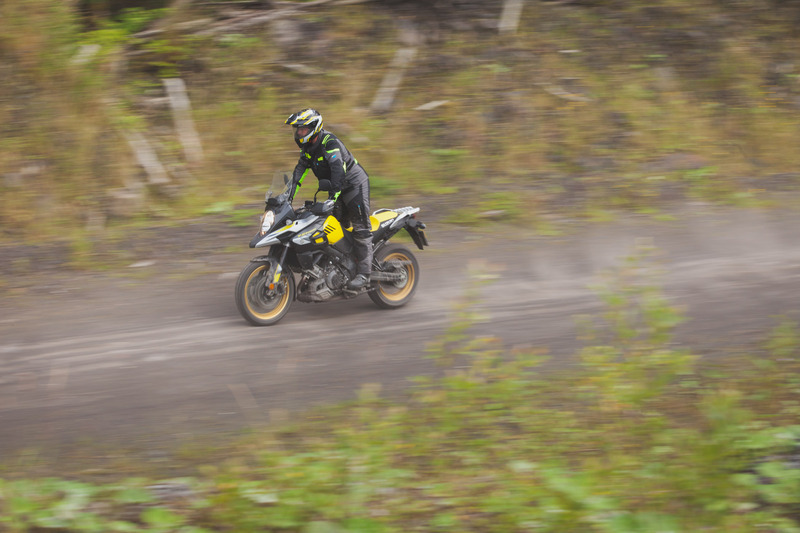 They were also asked to pick a best overall bike, the one they were most likely to take on a personal adventure. 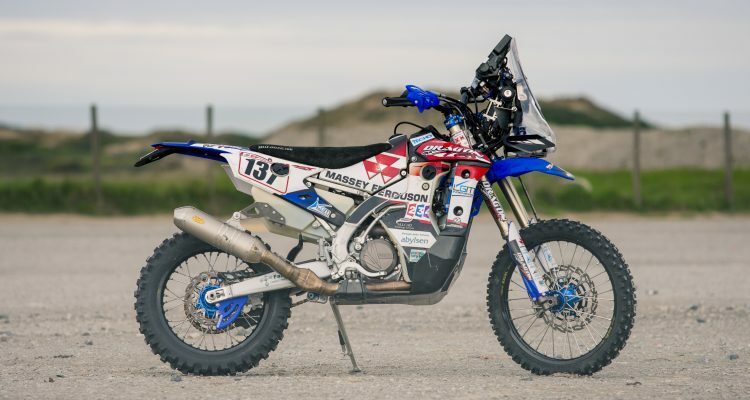 The one that’d fit the bill of riding across countries on and off-road, crushing motorway, back roads and everything the dirt can throw at you. The KTM could easily be the outright winner in this class and if it were up to three of our five testers it would be. 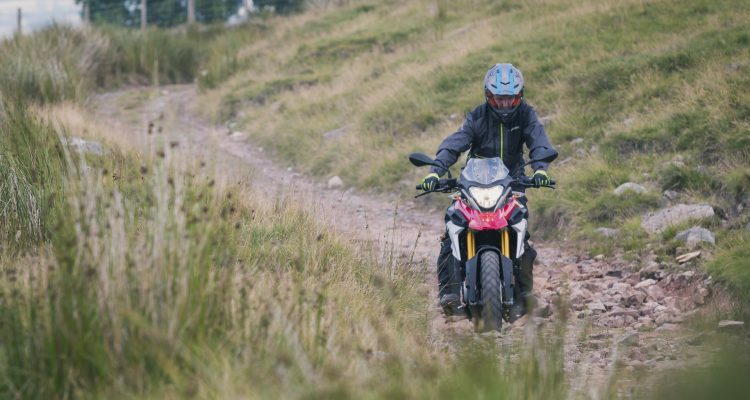 The upper performance limit is incredible, it’s phenomenally fast and effective on road, superb off-road and good at everything in between but what it isn’t, is the bike for everyone. The Honda is good, but importantly it’s good at most things. The KTM is better, it’s just not going to be a bike everyone likes. For everyone who wants to be mildly terrified on their bike there is another person who doesn’t want that. For that other person, I point you to the Honda Africa Twin. The CRF 1000L is very Honda. It does the job well without going too out on a limb. It’s safe, effective and mildly flawed but in the respect of using one as a genuine adventure motorcycle it’s good. 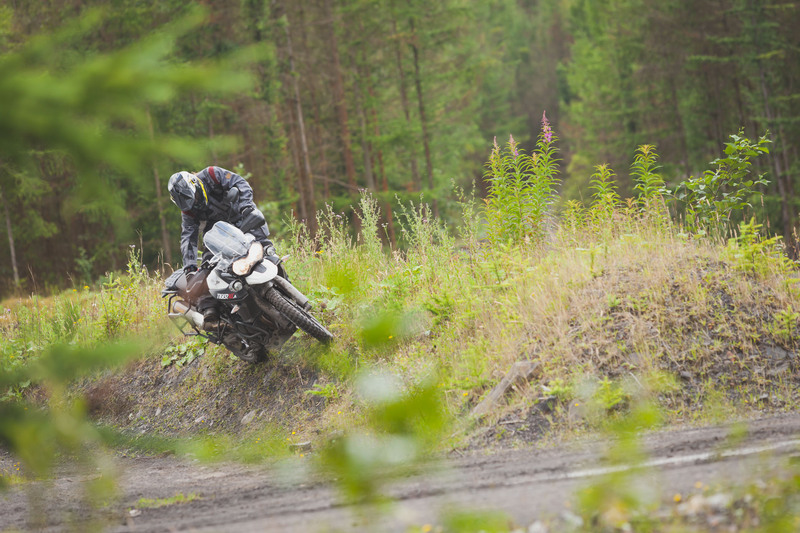 Third place was a jostle between the Triumph Tiger 800 XCa and the BMW F 800 GS. 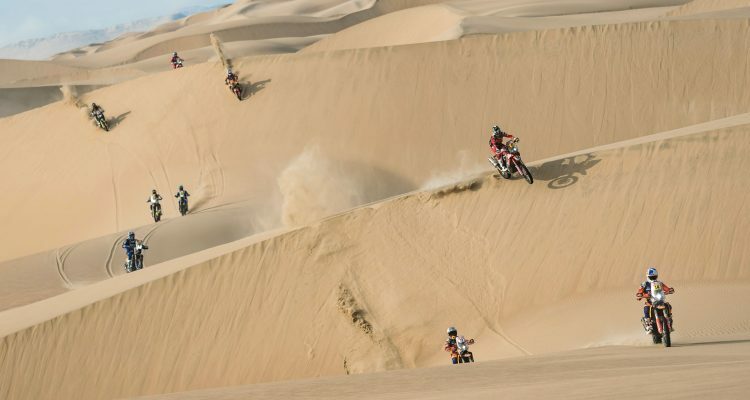 The GS edges it on the final corner by virtue of being a little more fun. Whether you chose one over the other is going to be entirely down to personal preference. 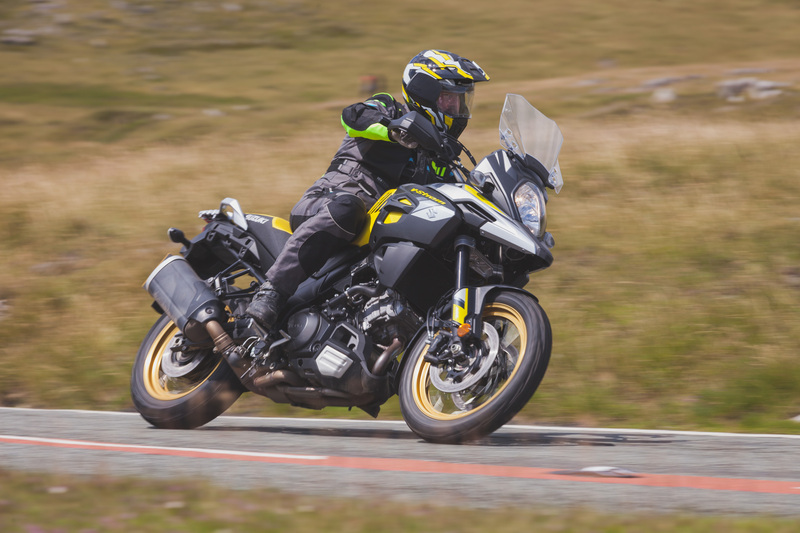 The V-Strom has it’s merits and is a solid bike, but for an all-round adventure bike it’s outclassed. It doesn’t have the off-road prowess to compete, lacks the turning circle to actually enter a city* and lacks the polish of its rivals. As a touring bike however, we’re fans. *This is a joke. You could ride the V-Strom in a city. You may need a five-point turn around if you head the wrong way. And that leaves us with the Multistrada. It’s not going to win in the overall class and Ducati don’t really seem to give a damn. They’ve built a killer street bike, stuck an off-road mode on it and thrown two fingers up to the world. If your not interested in dirt riding, you could do a lot worse than the Ducati but if your ambitions lie away from the tarmac, the 950 is not the machine for you. Thanks to all the manufacturers for their support in this test. Lastly, thanks to the Brake Testing crew for two days hard work in some serious wet weather.